Bluegrass Pundit: Is Al Sharpton's MSNBC show next on the chopping block? Is Al Sharpton's MSNBC show next on the chopping block? Thursday, MSNBC announced the cancellation of Ronan Farrow’s and Joy Reid’s afternoon bombs—a move many saw coming for some time now with both shows consistently tanking in the ratings. But inside sources say that the dual cancellations are just the beginning of a major shakeup at ratings-challenged MSNBC, as the network attempts to move back toward the center after veering far left. Next on the chopping block: Chris Hayes and Al Sharpton. Citing two “well-placed sources,” The Daily Beast reports that in addition to canceling Chris Hayes’ struggling 8 p.m. show in the “relatively short term,” Al Sharpton’s weeknight 6 p.m. show is likely to get the ax “in the longer term,” with the controversial host relegated to a weekend slot. Sharpton’s “PoliticsNation,” though popular with African Americans (accounting for 35 percent of the audience), has continued to underperform—as has the host, who is regularly mocked for his teleprompter gaffs and insincere posturing. 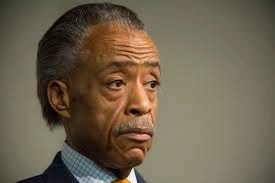 Sharpton’s self-promotional version of civil rights activism, his deplorable tax record, and controversy-ridden past have frequently resulted in unflattering headlines during his stint at the network.